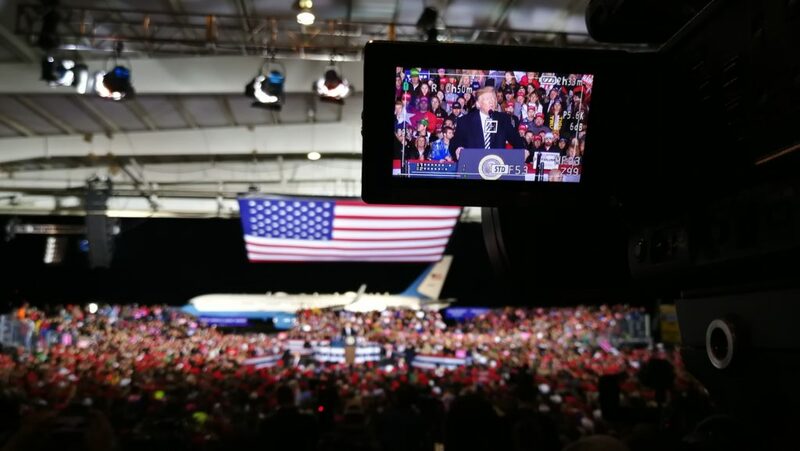 President Donald Trump speaks at the Columbia Regional Airport (J. Lee). 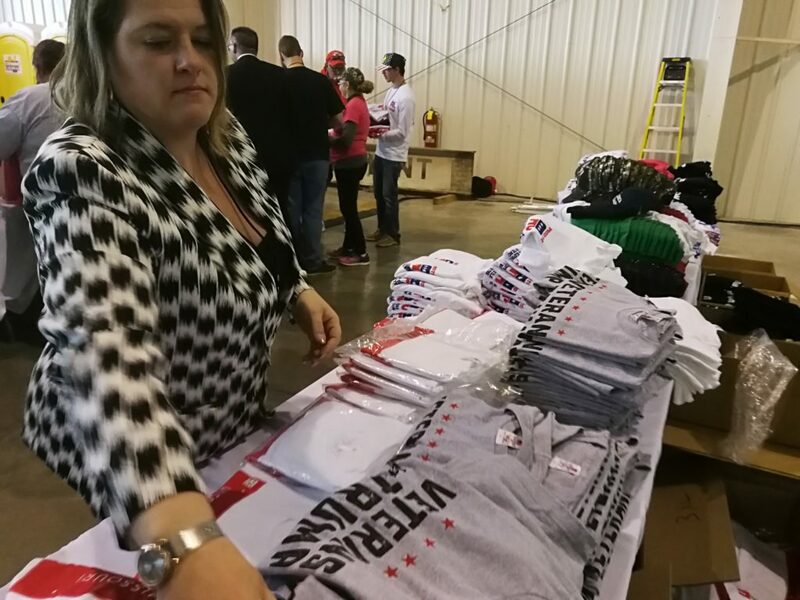 Trump supporters sport red “Make America Great Again” hats and other Trump merchandise as they await the president’s arrival (J. Lee). 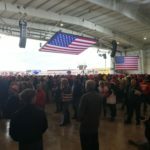 Trump arrived by airplane to the Columbia Regional Airport and began speaking just after 7 p.m. in an airplane hangar. 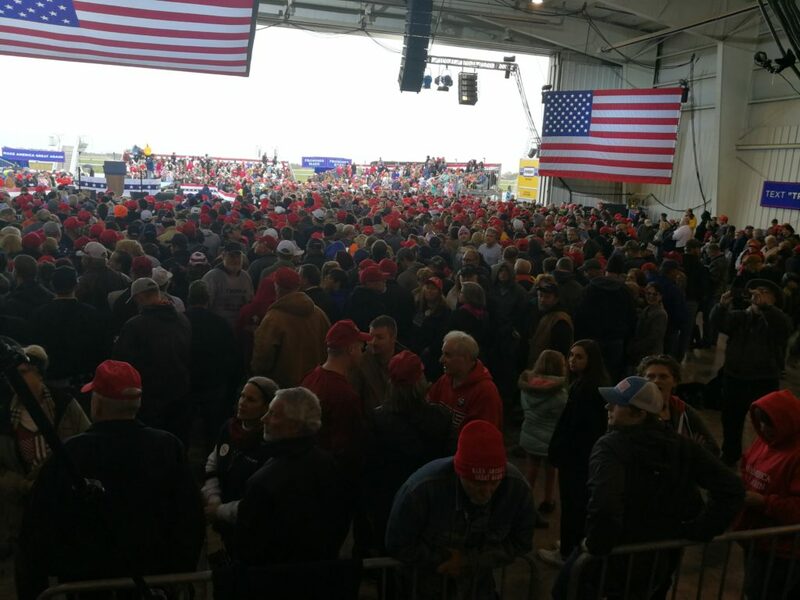 “This election will decide whether we’ll build up on an extraordinary prosperity we’ve achieved… or whether we let Chuck Schumer and Nancy Pelosi and Claire McCaskill, and the radical Democrats wipe it all away,” Trump said. 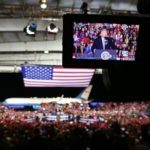 During his speech, which lasted just over an hour, Trump spoke on policy that he has been advocating for recently, including revoking birthright citizenship. 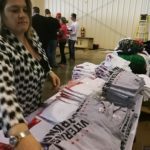 The statement came just one day after Trump announced he would use an executive order to end birthright citizenship, a right guaranteed in the 14th Amendment to the Constitution. 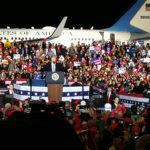 “The Democrats want to continue giving automatic birthright citizenship to every child born to an illegal immigrant, even if they have been on American soil a mere matter of seconds,” Trump said. 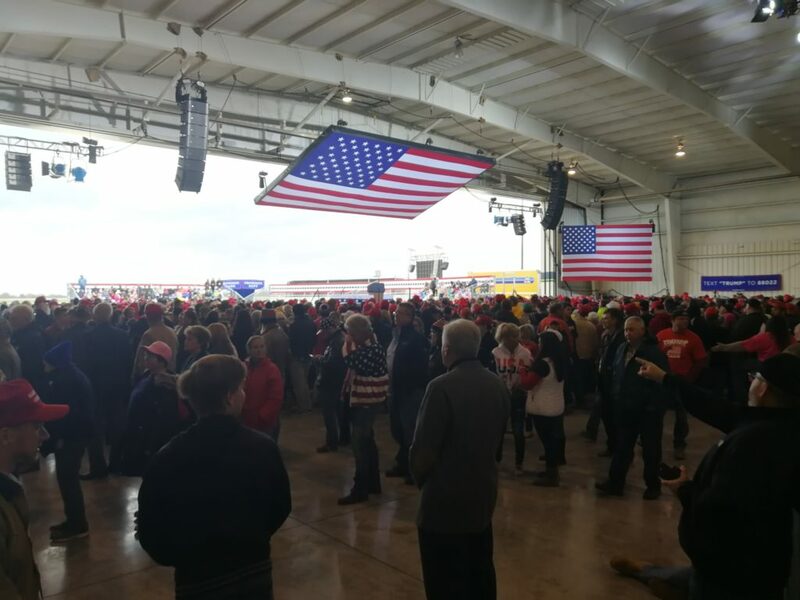 Trump also spoke on immigration, a topic that he has discussed extensively in the past few weeks. 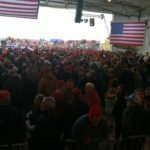 On immigration, Trump also said “Republicans want strong borders, no crime, no chaos, and no caravans,” referring to a caravan of approximately 4,000 migrants, originating in the Honduras, which is making its way to the U.S. border. 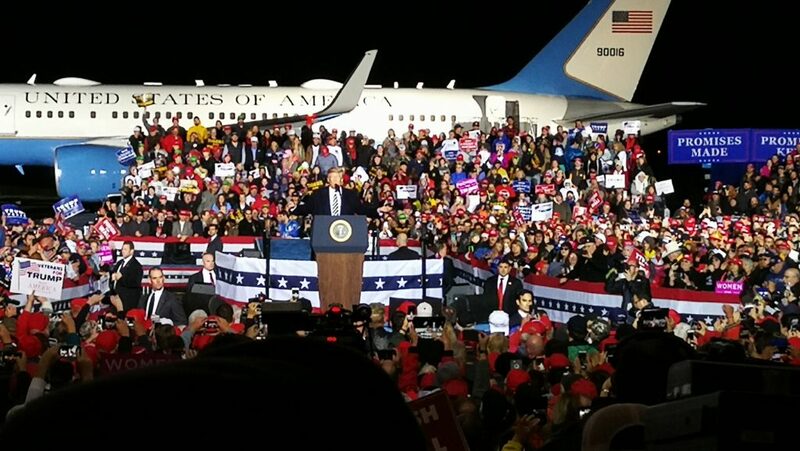 Trump is the first sitting U.S. president to visit Columbia since George W. Bush visited to campaign for re-election in 2004. In 2008, then-Senator Barack Obama visited MU during his first presidential campaign.